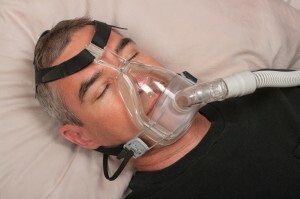 A Continuous Positive Airway Pressure (CPAP) device is comprised of a bedside machine that delivers pressurized air through a tube to a mask that covers the sleeper’s nose. Just as a balloon expands when air is added, the force of the pressurized air holds the throat open to prevent airway collapses and apnea events. CPAP therapy has a proven history of success when adjusted and used properly. Hover, this devices have a mixed history of success based on patient non-compliance. A significant portion of OSA patients who are administered CPAP therapy find they are unable to tolerate the equipment, or simply find it too invasive for comfortable sleep.